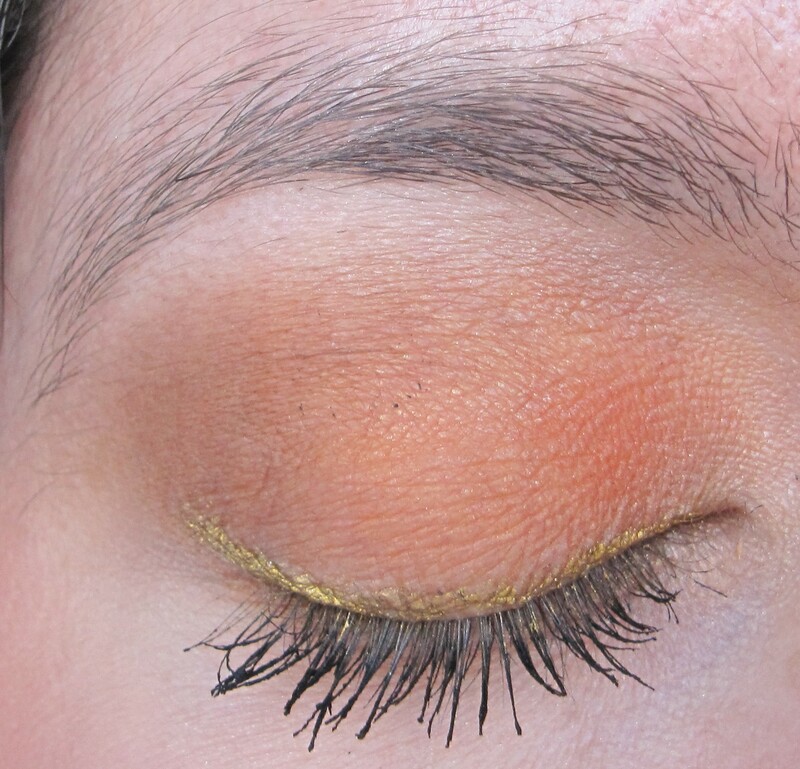 For this look, I combined peach, orange and brown to create a warm, burnished effect on the eyes. 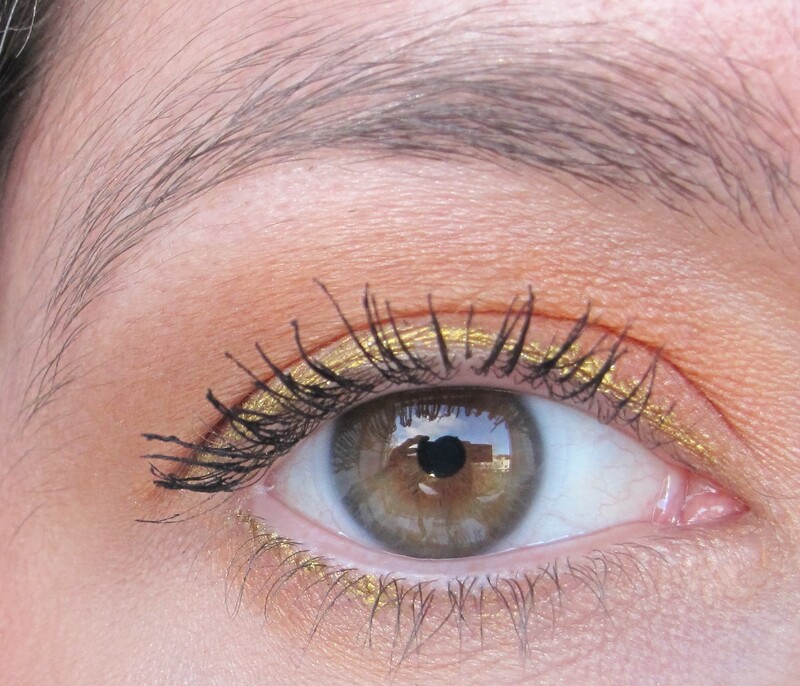 I added in honey-gold liner along the lashlines to add some brightness to the eyes. 1. Apply Primer Potion all over the lid as a base. You can either use your fingers or a flat synthetic brush (e.g. MAC 242). 2. Take a flat shader brush (e.g. MAC 239) and pat Off the Page on to the eyelid. 3. Sweep Cork into the crease using a windshield wiper motion (e.g. MAC 217). 4. Using a crease/blender brush (e.g. MAC 217), pat Club on the outer part of the lid. 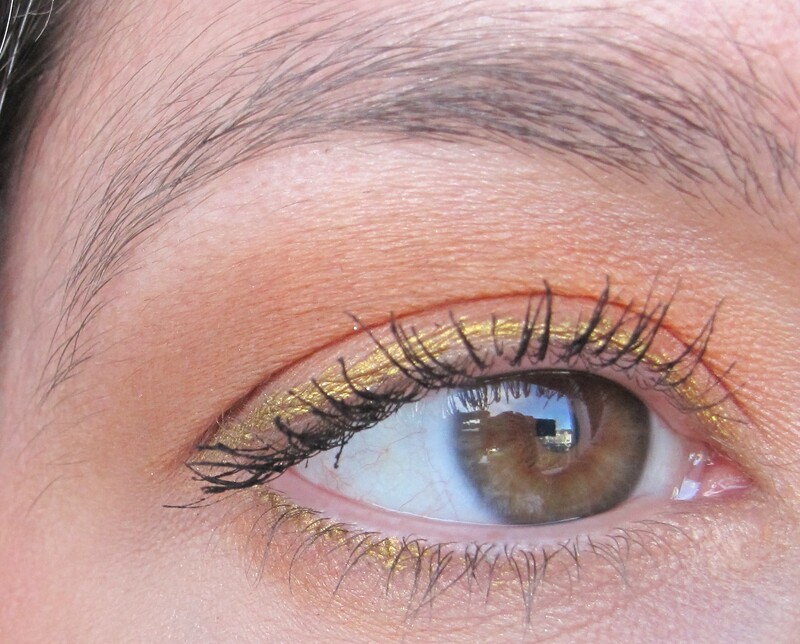 This step adds extra warm and depth to the outer part of the eye. I used a crease/blender brush for this step, rather than a flat shader brush, as I wanted to keep the overall effect very soft and diffused. 5. Using a crease/blender brush (e.g. MAC 217) or a pointed crease brush (e.g. MAC 226), sweep Ricepaper on to the browbone to highlight and further blend out the edges of the crease colour. 6. Take a pencil brush (e.g. MAC 219) and apply Straw Harvest to the inner corners. This step helps to brighten the eyes. 7. Lightly dot, rather than line, Honey eyeliner along the lower lashline and blend with your finger. I dotted the eyeliner as I wanted very, very light definition, rather than a full opaque line. You can always line the lower lashline fully, though, if you prefer. 8. Take a pencil brush (e.g. MAC 219) and apply Off the Page along the middle-outer part of the lower lashline. Take the same brush and apply Straw Harvest to the inner lower lashline. This step helps to tie the look together. 9. Line the upper lashline with Honey eyeliner. 10. Apply black mascara to the top and bottom lashes.